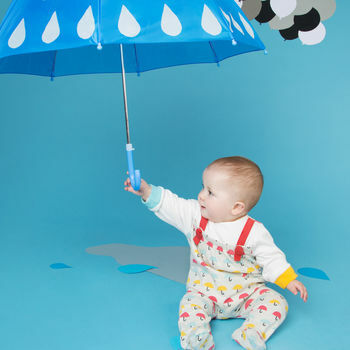 Soft organic cotton and gender neutral design make this Ribbon Romper Brolly Print the perfect Unisex baby gift. All of our products are made to keep buyer, baby and the planet happy. We use 100% GOTS certified organic cotton and all our baby and toddler clothing is ethically and sustainably sourced. 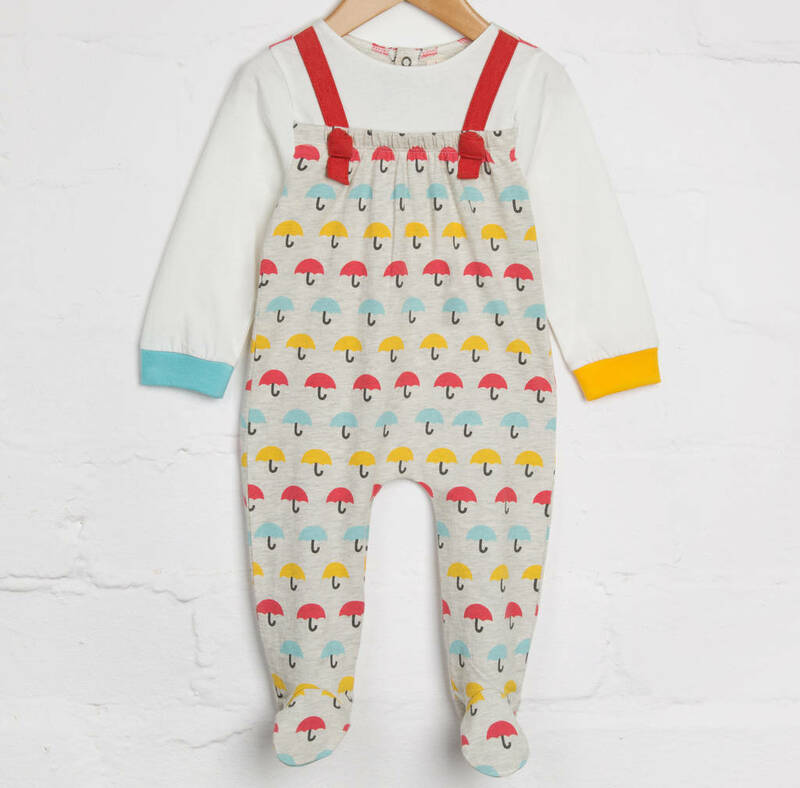 This brand NEW baby romper all-in-one style offers an adorable dungaree look with all the comfort and practicality of a footed babygrow. Our bright brolly print on a grey jersey base runs from the top of the toes, up the back, the straps come in solid red marl, the cuff ribbing comes in mismatching yellow and blue, with an off-white faux tee "underneath". The back has multiple poppers for easy dressing giving you layered style without the fuss. This all-in-one outfit is completely unique, making your special little one stand out from the crowd.